how fast time flies ... it's approaching the end of August already and autumn is on the way. i still remember blogworld a-buzz with the excitement of the approach of spring like it was yesterday!! i haven't been very good with blogging i must admit ... excuses? plenty! but i needed any extra time i could wrangle to make things. "Have you ever wanted to right a wrong, to do things differently or to tell a passed one that you love him ... Have you ever wanted to turn back time"
she loved them both and took them. i hope these pieces would bring to her peace and healing in time to come. i felt really honored to be entrusted with her story and hope that my little contribution has helped her is some way. 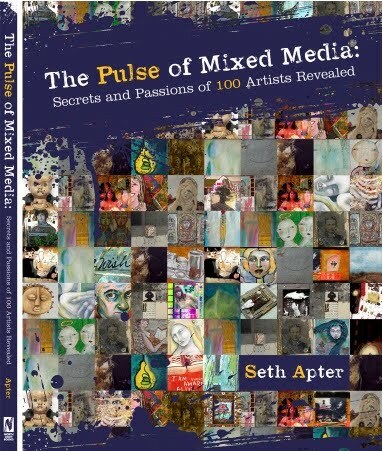 i was chosen to be amongst the 100 contributing artists in this new mixed media book by Seth Apter. WOOHOO!!! i'm not allowed to show you the piece that's gonna be in that book, but here is a sneak peek of the cover :) it will be out March 2012!! i am SO SO SO THRILLED!! Candy said it best...the most gorgeous pieces ever, and your photography is outstanding. 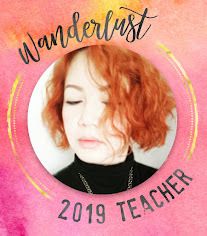 I wanted to say a heartfelt thanks for your comment on my blog ~ I know you're so busy so taking the time to leave some uplifting encouragement means the world to me! You're such a dear friend and always will be! Your work is STUNNING. My chin is bruised from hitting the table. Your clients will no doubt adore these incredible pieces of art! That Travel book is exquisitely GORGEOUS!!!!!! And the Time Turner 11 ~ breathtaking!! You do lovely work Luthien.... and congrats on making it into Seth's book. You deserve it! These pieces are amazing Luthien - I love the thought, emotion and meaning you've put into each one - I know the 2 new owners of your work will treasure it - lucky ladies! Excuse me while I pick my jaw up off the floor! Your piece is *BEYOND STUNNING*. I don't even know what to say except I LOVE IT ALL. Every detail, big and small. Sheer perfection! thanks for sharing it with us on Simon Says Stamp and Show! We're honored! Sensational pieces. Your Journey book is really extraordinary. I am sure the person who commissioned it will be over the moon with happiness. OMG! Really!!! So Gorgeous!! You captured beyond how beautiful she could have wanted it. It's stunning! I feel like such a slacker seeing what you churn out! Truly. Luthien, it is just beyond beautiful and High Five for the publication.... Better hold on to your hat now lady! I really want one of these..... we need to talk!!! Once again, jaw-dropping art from you. You are truly gifted. Thanks for sharing your art. every time I visit I am blown away by your art, I am glad you were able to help the lady. Congratulations on being picked for the book. I think that is wonderful. You are such a talent. thank you for your wonderful heart that you show through your work. hugs to you. They are both stunning Luthien, and not just the pieces but also the way you photograph your creations....like treasures unearthed from Rivendell. Congratulations on being in the book. You so deserve it! You have done it again, the journal is fantastic, such a beautiful creation. I'm sure the lady who gets to put all her worldy treasures inside adores it too. 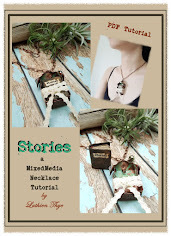 And I think you know what I feel about your mini book necklaces ~ totally Wicked!! And well deserved Congratulations on being published, as Sharon says when is your book coming out!!!! Congratulations on being published Luthien!!! That is so exciting, athough I'm not at all supprised you were selected, your works are truely beautiful. OMG, your new pieces are outstanding ... I could stare at it for hours. Lots of great eye candy...as always! Congrats to you for getting into Seth's book. I am very excited for you. Can't wait for to see what you did! Oh Luthien - Your new commissioned journal is mind blowing - love the winged heart - it's all so beautiful as is the necklace booklet - OMG I just am so in love with your creativity girl - It is so exceptional! Congrats for making it into Seth's new publication - it is no wonder at all! Ooooohhhh ... I just don't have the words! These are all beyond stunning!!! Someday, I'm going to ask you to create for me! Some day!! I'm proud of you . Your journal piece is gorgeous !! !